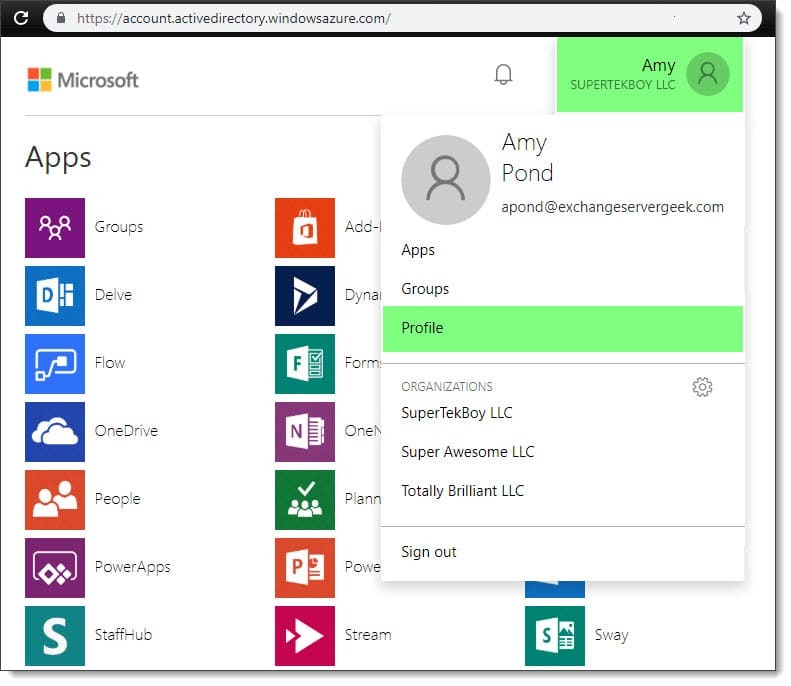 Log into your primary Office 365 tenant by typing the following into your web browser – https://myapps.microsoft.com/. Note: This URL will actually redirect you to https://account.activedirectory.windowsazure.com/. However, we find that myapps.microsoft.com is a much easier URL to remember. From the Apps page click your name in the top right of the screen. This will bring up a menu. From the menu select Profile. 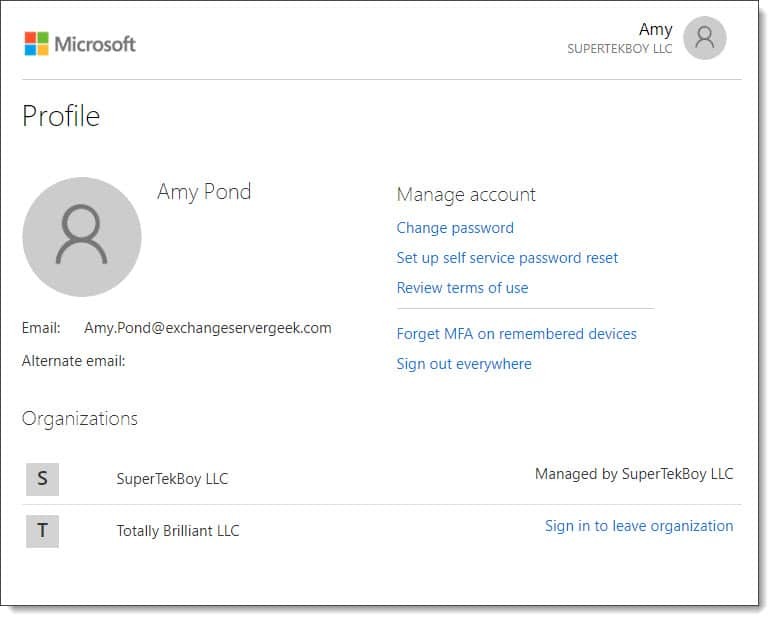 In the screenshot below, Amy Pond is currently logged in as SuperTekBoy LLC, which is her employer’s Office 365 tenant. 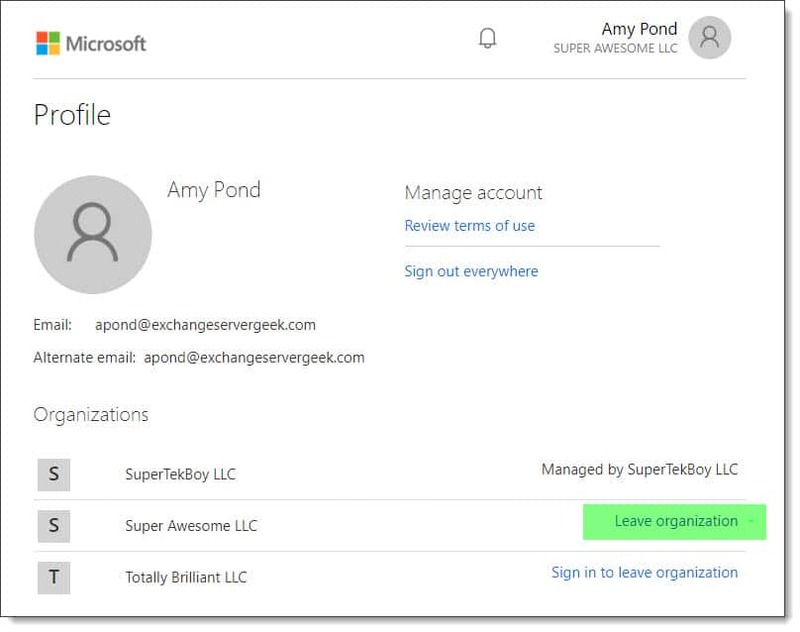 From the Profile page you will see all organizations you are currently connected to, including your primary Office 365 tenant. To leave an organization, where you have been granted guest access, you must first sign into that organization. Click the Sign in to leave organization link of the organization you wish to leave. 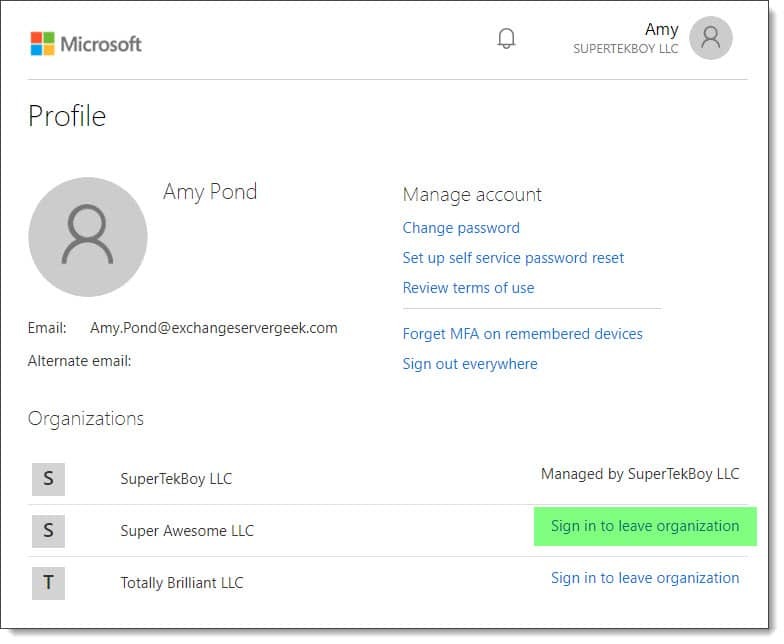 In our example below, Amy wishes to leave Super Awesome’s Office 365 tenant, so she clicks the sign in link next to that organization. Once logged in, you will be redirected to the Apps page for that tenant. Click your name at the top right of the screen and select Profile from the menu. From the Profile page click the Leave Organization link for the organization you wish to leave. You will then be prompted to confirm your action. Click Leave to revoke your guest access, or, Cancel to cancel the request to leave. Warning: Once you click leave you will lose all access to that Office 365 tenant. While this article was written with the focus of Teams, this will revoke your guest access to the entire tenant and any other apps or data you were accessing in that tenant. You can only regain access if you are sent a new guest invitation. You will receive a confirmation that you have successfully left the Office 365 tenant where you previously had guest access. Click Ok. This will return you to the Profile page. The tenant you just left should now be absent from the organization list. Note: Typically the tenant you left will be removed from your list of organizations within a couple of minutes. However, we have seen instances where the tenant may take a couple of hours to disappear from the list. 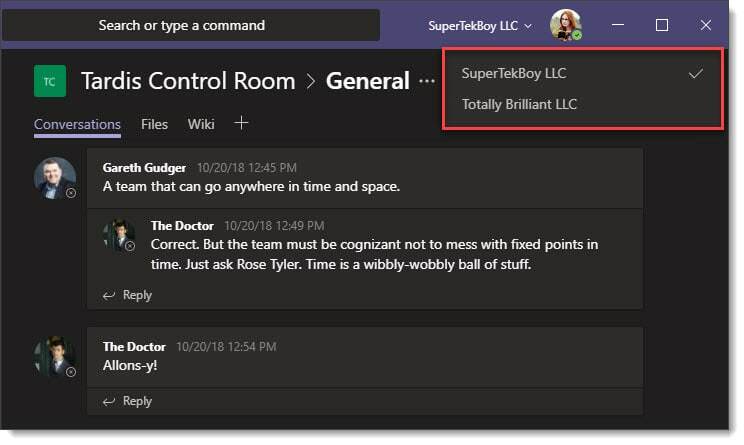 Once the tenant has been removed from your profile page, that tenant will remove itself from your Microsoft Teams client. 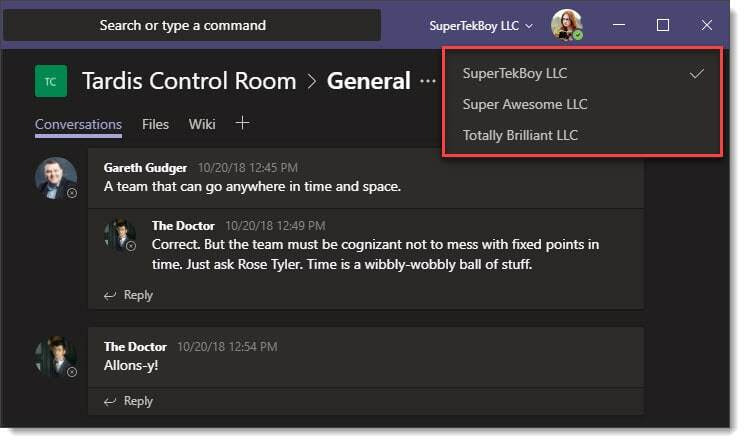 In the screenshot below we can see Amy no longer has access to Super Awesome LLC in her Teams client. Have you experienced any problems when leaving a tenant you have guest access to? Drop a comment below or join the conversation on Twitter @SuperTekBoy.